Here’s the problem with calculating your personal savings rate… you’re doing it wrong! Ok, maybe you’re not, but I sure was! 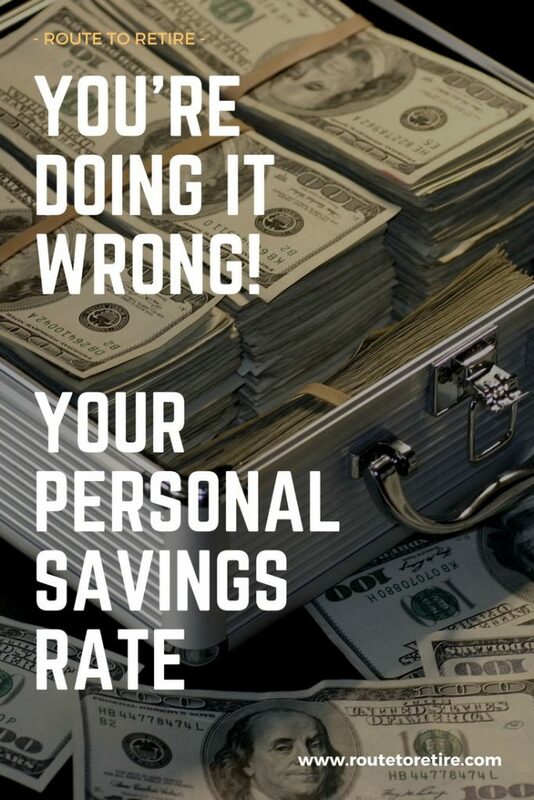 First off, let’s talk about what your personal savings rate is. In essence, it’s a metric to be able to determine what percentage you’re putting away in relation to your income. In other words, it provides a good way to tell at a glance how well you’re saving. Someone might make a ton of money at his or her job, but if that person’s spending it all, it’s really all for nothing in the long run. However, someone else might not be bringing home a large salary, but if she’s stashing away a good percentage of it, she’s going to be worlds ahead. And not just because she’s saving more, but also because she’s learning to live on less. And that’s the world you want to be a part of – living off a smaller portion of your income and putting away the most money you can. Let’s break it down a little further just to make sure we’re all on the same page. First, your savings rate is going to be based over a period of time. You calculate based on a week, month, year, or whatever. Personally, I think it’s a little more accurate to look at a period of a year since it will help average out some of the bumps along the way (commissions or bonuses, higher spending weeks or months, etc.). Now, divide your savings amount by your total income after tax. Finally, multiply by 100 to give you your personal savings rate percentage. Here’s an example of my made-up friend, Chuck. Add a little rounding in there and Chuck’s got a personal savings rate of 40.13%. Not too shabby!! Keep in mind that there’s not really a perfect standard for this formula and it seems like a lot of people do it differently. For instance, some folks include their debt payments (principal only) for things like their mortgage as part of their savings and some don’t. I don’t personally include that in my numbers. 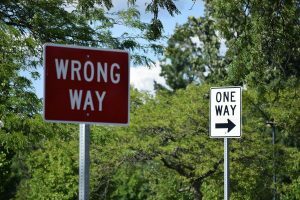 There’s a right way and a wrong way… apparently, I was doing it the wrong way! I was doing things a little differently. Because I had a spreadsheet I was using for other retirement purposes, I was basing my numbers off that for a “simplified” calculation. My spreadsheet kept track of some of my expenses and what I was socking away. So I was just doing a comparison of the two. The problem with this is that it didn’t have all the numbers in it, so it wasn’t telling the whole picture. Regardless, my quick and dirty formula resulted in a personal savings rate of around 35%. The federal Bureau of Economic Analysis keeps track of the personal savings rate for the United States. Unfortunately, the numbers show a less than 5% savings rate… and that’s with me trying to make it sound a little better than it actually is. As I’m writing this, the rate was hovering around 3.8%. Let me say that again… 3.8%!! That means that for every hundred dollars the average American gets, they’re hanging onto less than 4 bucks and spending the rest. It’s also interesting to see that the highest it’s ever been recorded was 13.1% in 1975. Not amazing, but much better than the 3.8% we’re seeing now. Who Cares About This Number Anyway?! If it doesn’t sting, you’re probably not doing it right! Maybe you don’t think this number is very important. However, your personal savings rate can help put your savings in perspective. For some of you, it could be a real shock factor to see that you’re barely putting anything away for your future. For others, you might be light years ahead and strongly on track financially. If you’re hoping for early retirement though, don’t plan on doing it by sticking with the national average. A measly 5% isn’t going to cut it. In order to make early retirement a reality, you really need to get your percentage to at least over 30%. Moreover, the faster you want to make it happen, the higher you should push that number. A rate of 50, 60, or even 70% is what you really want to strive for if possible. And guess what – it’s probably going to sting a little bit. But it’s a matter of how strong you really want financial independence and early retirement. An expensive home, fancy cars, the latest gadgets, and all the other crap that society pushes on you are generally going to be what holds most people back from making this happen. Here I am, naked as always, sitting on my personal savings rate… typical day in the R2R household. 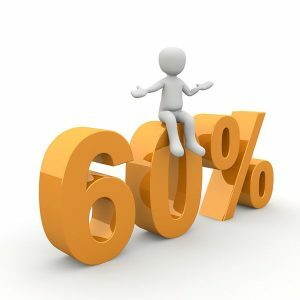 The good news is that now that I’m calculating our number correctly and I can see that we’re floating right around 60%. And that’s with Mrs. R2R no longer working. That’s much better than the 35% I initially thought we were doing and I’m definitely proud of our savings rate. Some of you might be reading this and thinking that number’s too steep, especially for one income. I can’t tell you if that’s too high of a rate for you. However, in our case, I think we do just fine with it. I make a decent living, but not anything earth-shattering. You know what though? We’re not really wanting for anything over here. The only exception to this is that I want to quit working. So the good news is that our personal savings rate is putting us on the track to make that happen sooner than later. 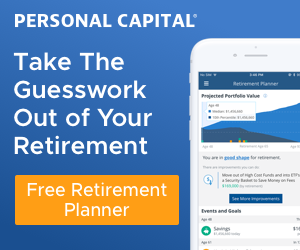 What’s your personal savings rate? Are you happy with where it’s at or are you thinking you can push it higher? My savings rate varies depending on whether I count debt-reduction. I definitely need to bump it up though. With debt reduction, I’m at ~40%, without debt reduction, I’m under 10%. Clearly not enough yet. 10% is a very good number when there’s debt involved. Debt, unfortunately, throws a tough wrench into the works. The good news is that once you get that out of the way, savings will start slow but will then continue to snowball! I always get caught up on taxes and payroll deductions. I personally do not account for them because I don’t see those when my paycheck arrives – all I see is the net result. It would be a pain (at least to me) to look at every paycheck and manually track how much went to each payroll deduction. So, my savings rate uses both a lower income and lower spending than I actually have. The good news is that they are “off” by the same amount, so my SR is actually slightly higher than what I calculate. My total is spending is just higher than I think it is (mostly due to insurance premiums), which might be bad since I might be underestimating costs in early retirement, especially medical costs. Yeah, it definitely tends to be a formula that finds a way to be over-complicated. The good news is that it doesn’t have to be perfect since it’s just there to give you an idea of how you’re doing on putting money away. Would you count extra payments towards a mortgage as part of a “savings rate?” Since it’s part of Glorious Plan “Retire at 50 with no Debt and $2 Million saved” I like to include it. But is this just self delusion? Awesome question, Jack! I would include extra principal payments as part of your savings rate since that money could also have been used for other savings or investment avenues. Ha ha! Vive Le Glorious Plan. Thanks for the elucidation! Good stuff Jim. Savings-rate is part and parcel of becoming financially independent! You don’t mention of taxes here, but I always calculated my savings rate *after* taxes. While there is some wiggle room with taxes, most people end up spending their tax refunds … i.e. not savings. Nice write up! I’m a huge believer in savings rate as a gauge towards FI goals. Curious why you personally don’t include your mortgage principal in your equation? That’s some real and tangible asset dollars. Moreso than any investment or employer match. Thanks, Cubert! I don’t personally count it as more of a conservative stance, but that’s fun of not having a well-defined standard. 🙂 Some people count the principal payment and others only count any extra principal payments they make (on top of their P+I payment). Hi Felicity! Yes, I would definitely count employer contributions. 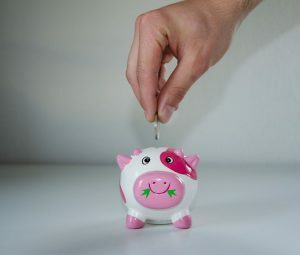 These go right to the bottom line of your savings so should make them part of your personal savings rate.